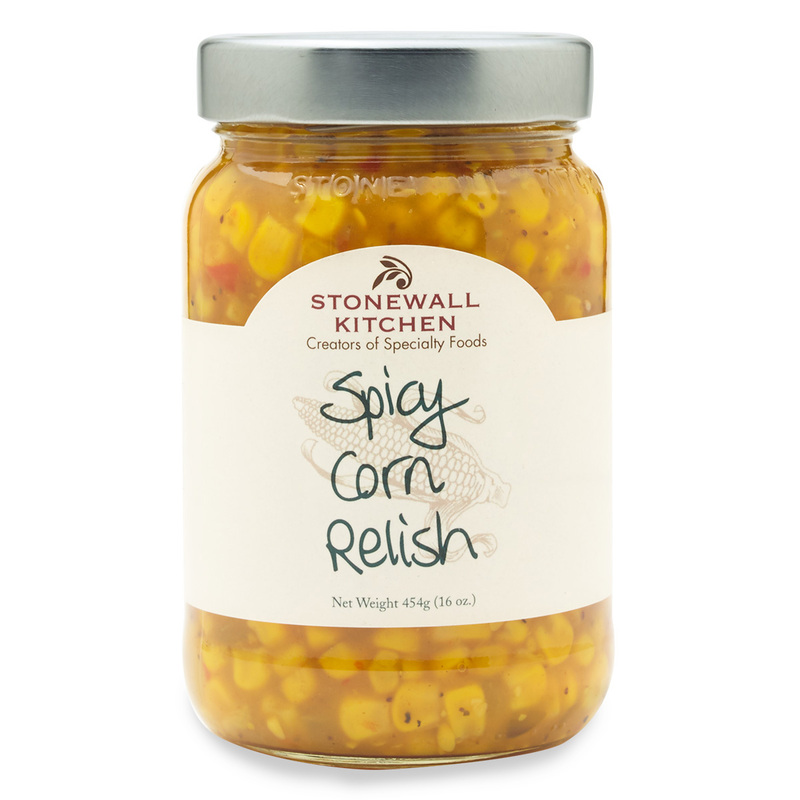 Spicy corn relish from Stonewall Kitchen has just enough “twang” to be interesting without being hot. Keep a jar on hand in the pantry for quick garnishes and hors d’ oeuvres inspiration! Spicy corn relish from Stonewall Kitchen has just enough “twang” to be interesting without being hot. This traditional style relish is the perfect complement to grilled hamburgers and hot dogs, fish or chicken. Serve it with tortilla chips.